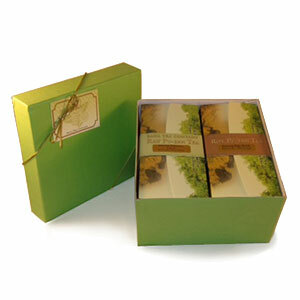 This gift pack consists of 50g of Little Bingdao Raw Pu-erh and 50g of the Simply Classic Ripe Pu-erh. It provides a good introduction to the varied flavors of Pu-erh tea. The two teas are packaged in our beautiful tea boxes that fit snuggly into our gift box, which comes with a ribbon and a Bana gift tag. A perfect holiday and all-occasion gift! Little Bingdao Raw Pu-erh (2017 vintage) -The aroma of this tea is elegant and it finishes with a nice floral fragrance, which can be delightfully savored. Simply Classic Ripe Pu-erh (2013 vintage) - Clean and warming, this tea possesses a woody and warm chestnut flavor. A perfect daily tea if you are a fan of ripe pu-erh. Delicious tea. Shared with neighbor & she loved it too. Pkus great service.